The Boston Harbor Islands are magical...a whole different universe made up of 32 islands and 2 peninsulas. A short 15-minute ferry ride takes you to the closest Harbor Island, located less than 4 miles from your departure wharf in downtown Boston. All of the Islands are within 10 miles of Boston. The islands dot the Inner Harbor, Outer Harbor, and even extend a bit into Massachusetts Bay, where the tiny eastern-most island The Graves boasts the tallest lighthouse in Boston Harbor. What else can you see and do on the Islands? Well, more historic lighthouses, sandy beaches, hiking trails, and great spots for picnics, photographs, and bird-watching...plus guided tours conducted by Park Rangers. 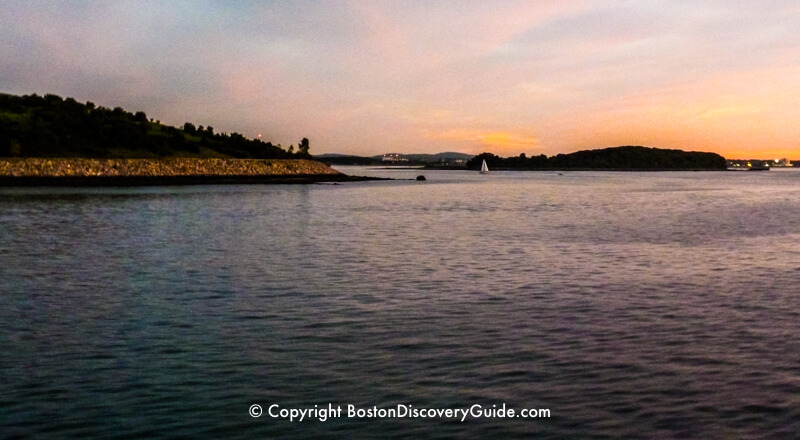 We explore 5 popular ways see and explore Boston's Harbor Islands - everything from ferry cruises to a whale watch. Whichever you choose, you're sure to have a memorable adventure! 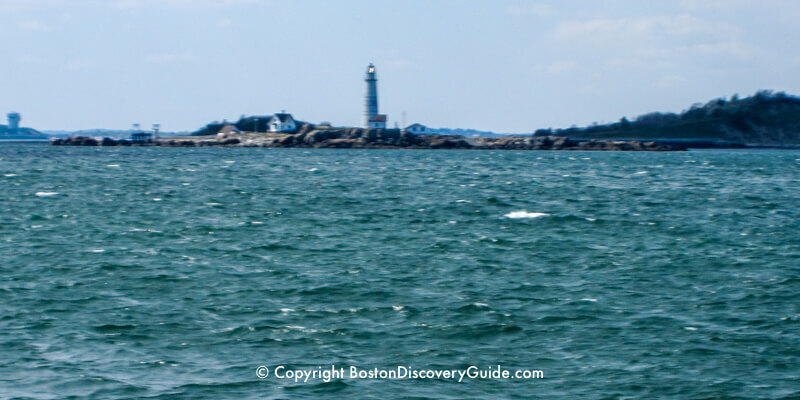 Did you know . . .most of the 34 Harbor Islands (and peninsulas), except for Castle Island and Spinnaker Island, make up the Boston Harbor Islands National Recreation Area, which also includes two additional peninsulas, Web Memorial Park and World's End. Nineteen of the Harbor Islands, including The Graves, are officially part of the City of Boston. You can't beat the convenience of the Harbor Island ferry cruises. 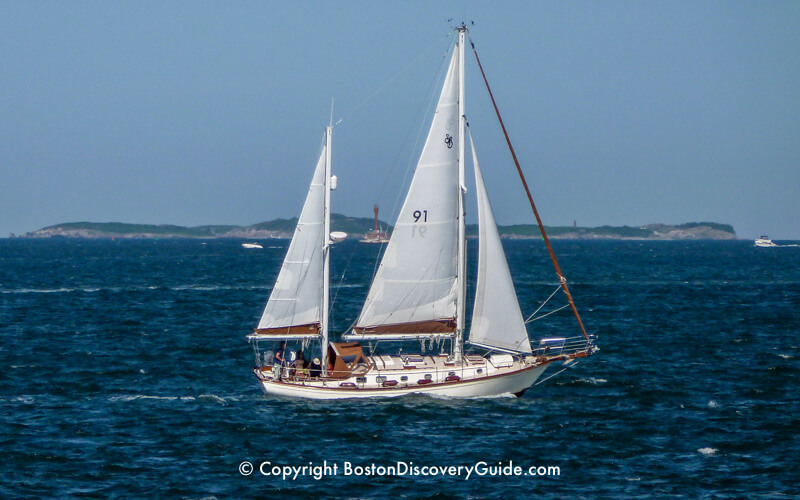 Ferries to Georges Island and Spectacle Island depart from Boston's Long Wharf North between May (check the May Events Calendar for exact start date) and Columbus Day Weekend in October. In as little as 15 minutes, you'll be stepping ashore on Spectacle Island or Georges Island. Spectacle Island's 121 acres boast two sandy beaches, a welcoming Visitors Center complete with rocking chairs on the veranda, a cafe, a marina, and lifeguards, showers, and changing areas - so bring your swimsuit and a towel. Or explore the island's five miles of hiking trails and enjoy spectacular city skyline views. By contrast, Georges Island's 39-acres (53 at low tide) mainly contains Fort Warren, built in 1845, decommissioned in 1947, and now a National Historic Landmark. Although the fort served as a prison during the American Civil War and gained recognition for its relatively humane treatment of Confederate soldiers, it's best known in Boston for its ghost legend, "The Lady in Black." Park Rangers conduct free activities such plays, historic shows, and musical performances on many weekends. The whole island is fortified, so if you're not interested in forts, you may want to either skip Georges Island or stop here only long enough to catch a water shuttle to Lovells Island, Peddocks Island, Grape Island, and Bumpkin Island. These smaller islands are far more rustic than Spectacle Island and Georges Island. Although they offer picnic areas, hiking trails, and beach areas, swimming is at your own risk - no lifeguards. 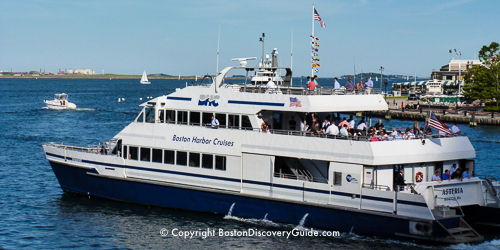 Pick up your tickets at the Boston Harbor Islands Pavilion on the Greenway across from the Boston Marriott Long Wharf Hotel and hop on the comfortable 200-person catamaran at nearby Long Wharf. To view (but not visit) the islands off-season between November through April, ride the comfortable heated Harbor Express ferry (part of the MBTA commuter boat system) between Boston, Hull, and Hingham. 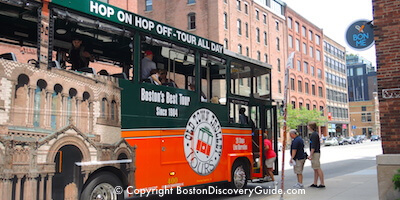 This ride lets you see the Boston Harbor Islands and beautiful city skyline views. Purchase tickets and depart at Long Wharf next to the Long Wharf Marriott Hotel, or check the MBTA website for more information. 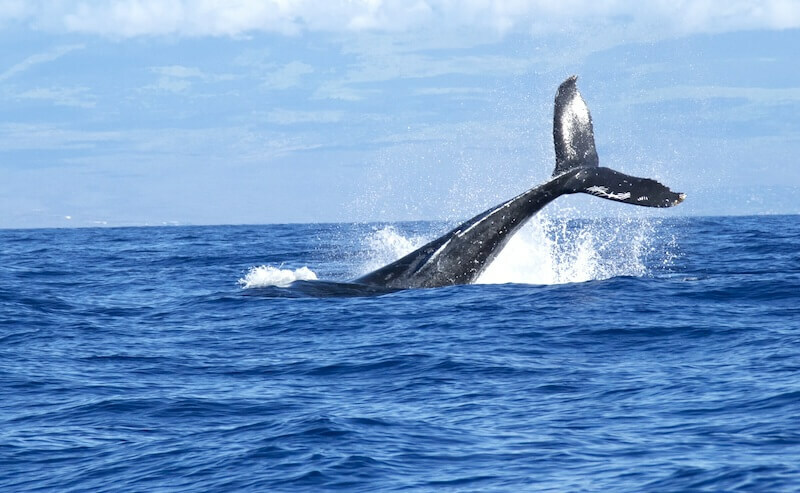 Whales, dolphins, and other sea life may be the stars of these cruises, but your ride out and back takes you past numerous Harbor Islands and lighthouses. It's like getting a bonus island tour as part of the whale cruise. Exploring the Harbor Islands by sailboat gives you the ultimate freedom, allowing you to go to many more islands than you can reach by ferry. Several islands - Spectacle, Georges, Gallops, and Peddocks Island (Portuguese Cove) - offer moorings, and you can also anchor off the islands. Anchor your boat, and hike up to the top of the 100 foot bluffs on Great Brewster Island where you can see 4 lighthouses across the Harbor. Explore the tidal pools and rocky shores of Grape Island. Photograph the abundant wildflowers on Rainsford Island. 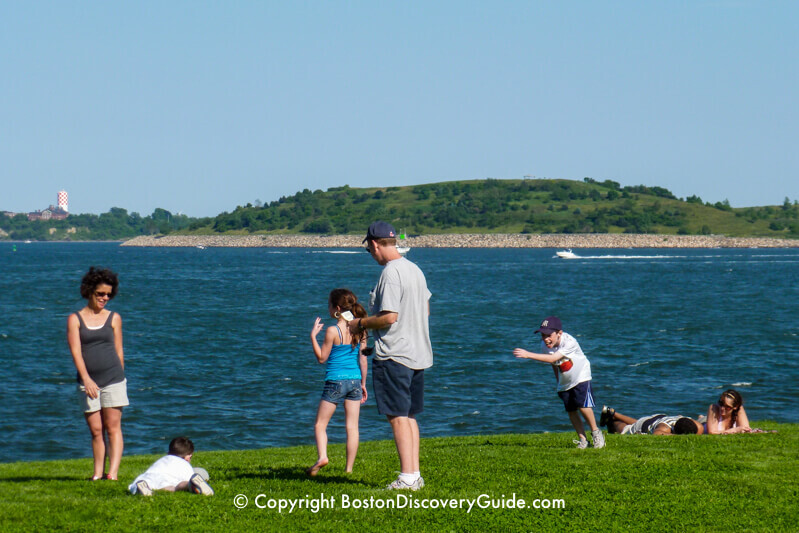 Castle Island has it all - cool breezes on hot summer days, great views of the USS Constitution turnaround cruise each July, a historic fort, and grassy slopes for frisbee games and picnics. Plus, you'll even see other Boston Harbor Islands in the distance. Best of all, you can walk or bike there from South Boston. Camping is available on Grape, Bumpkin, and Lovells Islands for a small fee. You must make advance reservations, as each island has only 6 - 10 individual campsites and 2 group campsites. Campsites have composting toilets and picnic tables - but there's no fresh water, electricity, food, or phone service - so you need to plan carefully. To reserve a campsite, call this toll-free number: 1-877-422-6762. You'll be assigned a specific campsite by an Island park ranger when you check in. 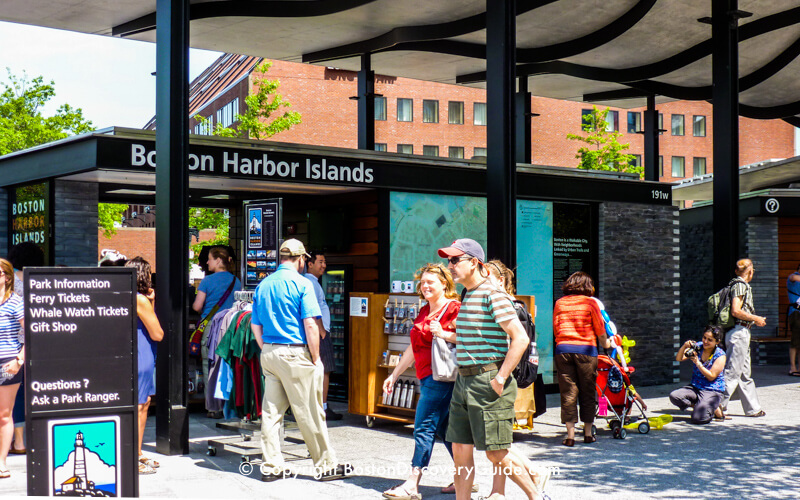 The easiest way to purchase Harbor Islands ferry tickets is on-line. Go to the Boston Harbor Islands website for ticket purchase, schedules, and more information (note: service is limited during non-summer months). Be sure to also check out the off-season specialty cruises between November through April. Especially on summer weekends, advance ticket purchase on-line or in person at the Pavilion is strongly recommended. 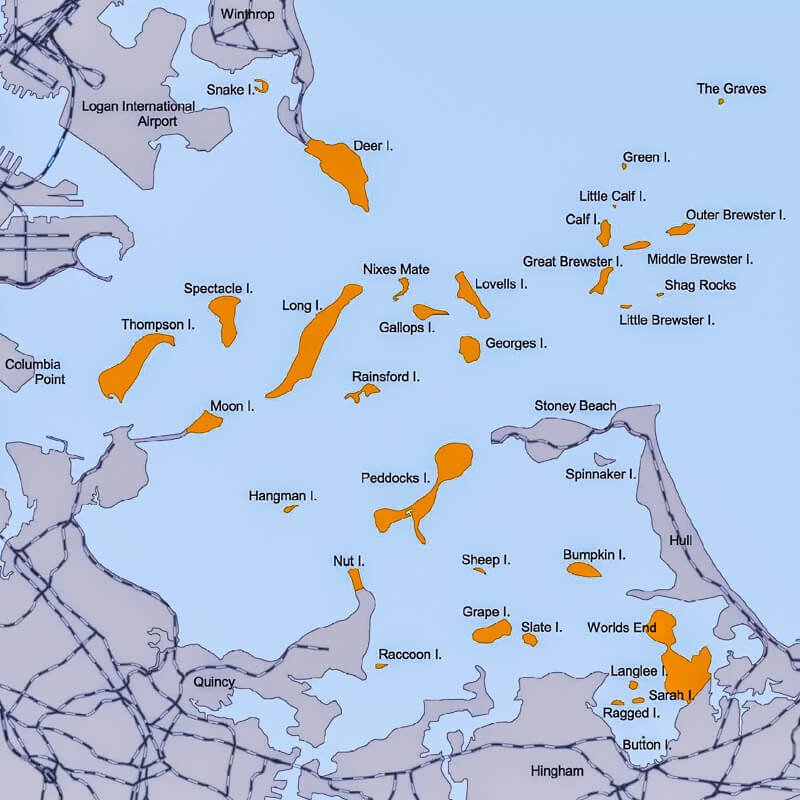 Through the years, some former Harbor Islands have become connected to the mainland, especially around Boston Logan Airport, while landfill has turned others into peninsulas. Boston Harbor Islands ferries stop first at Spectacle Island. This 121-acre island opened to the public only in 2006 after a rather infamous previous life as a City of Boston garbage dump followed by a stint as a Big Dig landfill. Now that the almost 4 million cubic tons of Central Artery / Tunnel debris dumped there have been capped, 2 beaches created, and 28,000 trees, shrubs, and vines installed, Spectacle Island is the new "gateway" to the Boston Harbor Islands. However, you can still see traces of Spectacle Islands history in the beautiful bits of sea glass and pottery scattered across the sandy beach. If you haven't visited this island before, get off the ferry and explore. You'll find a new solar-powered Visitors Center complete with rocking chairs on the veranda, cafe, marina, a gorgeous beach with lifeguards, showers, and changing areas - so bring your swimsuit and a towel! Spectacle Island also has 5 miles of hiking trails going up to the island's highest point, where you'll enjoy spectacular views of the Boston skyline and waterfront. On Sunday afternoons from June through August, you can also enjoy free jazz concerts at the Visitors Center. After stopping at Spectacle Island, the Long Wharf ferries continue on to Georges Island, which is also where you can catch the water shuttles to other islands. Ferry service between Spectacle and Georges Islands is included in the basic fare that you pay at Long Wharf. This 39-acre island (53 acres at low tide) contains Fort Warren, built in 1845, decommissioned in 1947, and now a National Historic Landmark. In fact, the whole island is fortified, so if you're not interested in forts, you may want to either skip Georges Island or stop here only long enough to catch the water shuttle to the smaller islands. Although the fort was used as a prison during the American Civil War and renowned for its humane treatment of Confederate soldiers, it's best known locally for its ghost legend, "The Lady in Black." What to learn more about this ghost? Go on one of the free guided tours of the fort given by Park Rangers. You can also hike around Georges Island on your own. There's a gravel beach, a large dock, and paved walkways. You can also enjoy lots of other free activities here. 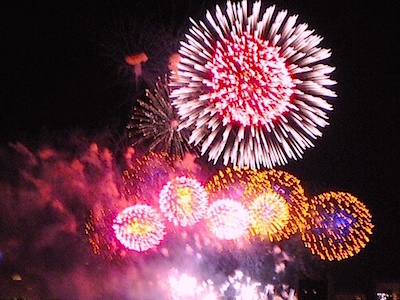 Although programming varies each year, typical events are plays, historic shows, and musical performances. 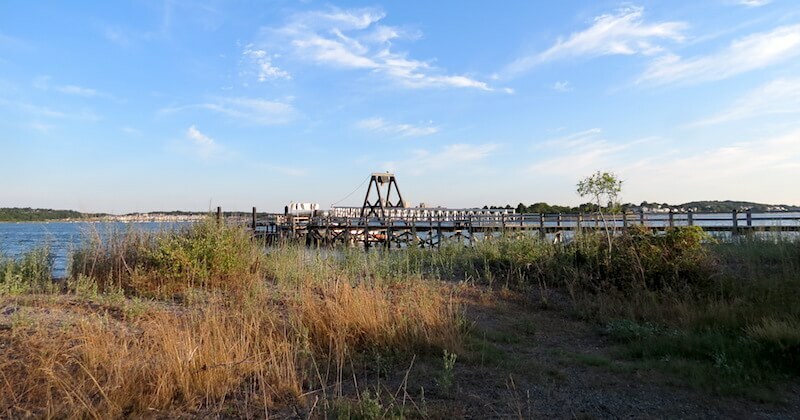 Lovells Island, Peddocks Island, Grape Island, and Bumpkin Island are more rustic than Spectacle Island and Georges Island, and offer picnic areas, walking and hiking, plus free Park Service Ranger tours. Although you can swim, it's at your own risk - no lifeguards are here. You can take the water shuttle from one of these islands to another. You may feel like you're the first person to explore some of these places - but that's far from true. Native Americans and Colonists used them as places to grow crops, so you're actually following in the footsteps of history. Grape Island, for example, got its name from Colonists who found lots of wild grapes growing on it. Camping is available on Grape, Bumpkin, and Lovells Islands for a small fee (confirm the amount when you make reservations). You must make advance reservations, as each island has only 6 - 10 individual campsites and 2 group campsites. Campsites have composting toilets and picnic tables. There's no fresh water, electricity, food (although you can take the inter-island shuttle over to Spectacle Island and visit the cafe), or phone service - so you need to plan very carefully.